A talk with musical accompaniment! 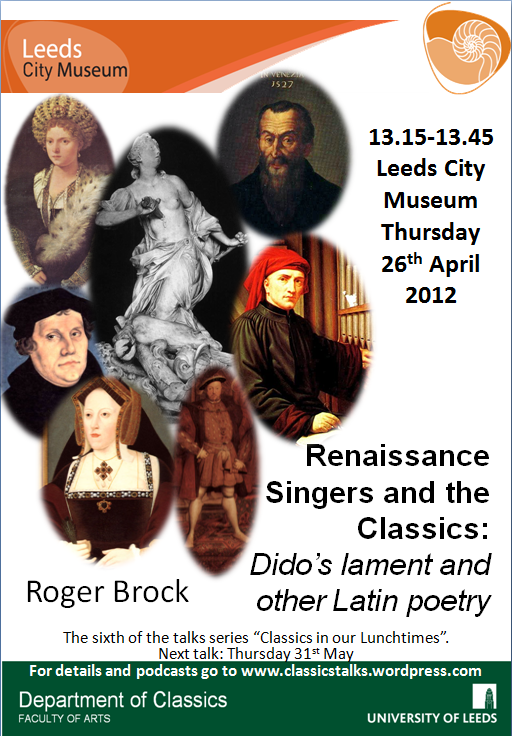 Roger Brock “Renaissance Singers and the classics: Dido’s lament and other Latin poetry” focuses on the role of classics in Renaissance music. The talk will include new original recordings of the pieces to which it refers.